Project-based learning is something you might remember from school. Because be real: How much textbook material did you really take in? How many lectures stayed with you? It’s okay if the answer is not many. When I was a teacher, I was always on the lookout for project-based learning ideas. I found that students were more engaged in creating something with their hands than with writing me an essay about a topic they didn’t care about. That’s not to say that traditional assessments like essays aren’t necessary. But research shows that project-based learning can increase student motivation and retention. Projects also help teachers. After you outline a project-based learning idea, your students take the lead. And when they finish their playdough models of the water cycle, its time to showcase that hard work to the class. You know presentations take less planning than memorizing a water cycle spiel. Plus, students will develop a deeper understanding from building that model and teaching others about it. So after introducing a sweet project, let your kiddos be the teachers. Here are five useful project-based learning ideas to help supplement your curriculum. Creativity shouldn’t be absent from the classroom — it’s a great way to get students engaged. I used this idea when I had to cover for a teacher who left no sub plans (yikes! ), and it got the students really excited and eager to participate. How does it work? You divide the kiddos into groups, and they work together to create their own country. Sounds simple enough, but there’s so much learning involved. They can discuss and outline their new country’s form of government. They can also design flags and scaled maps. And if they’re feeling ambitious, they can even draft an economic plan complete with their very own currency. There are many variations of the create-your-own-country project. You can find premade outlines on Google and modify them as needed. I remember the presentations for these were magnificent! Some students used clay to make a map of their country. Other students came in holding flags and singing their country’s anthem. So try it out! 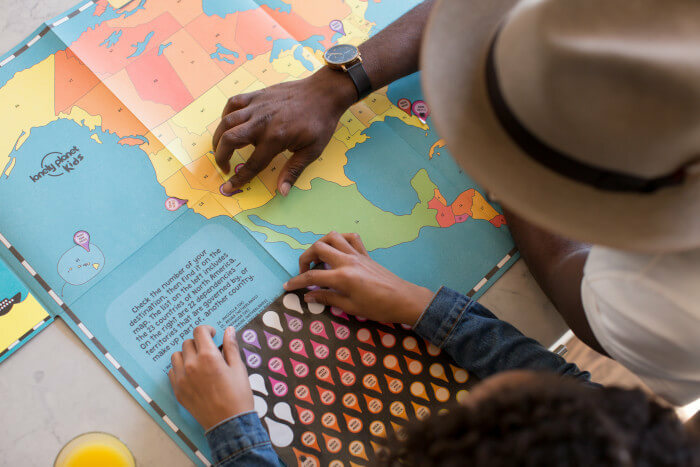 This is one of those project-based learning ideas that will boost your social studies curriculum and have your students eager to learn more. You can integrate technology with project-based learning, too. One cool project that I did with my kids was an interactive timeline. Let’s face it, timelines can get boring, but creating them is also part of the Common Core standards. So how do you jazz up these dusty ol’ standards? Try creating an online interactive timeline! You can use interactive timelines for various subjects or even cross-curricular units. 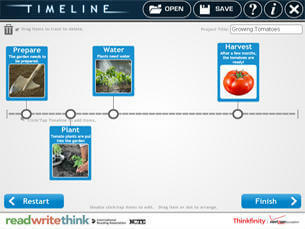 This online tool by ReadWriteThink makes creating digital timelines a breeze. My students loved this project. They found pictures, typed explanations, and researched dates. They created timelines that stood out and grabbed their classmates’ attention. You can also use interactive timelines to teach how to cite images and format bibliographies. Just have your students hand in a work cited page in addition to their researched interactive timeline. After your students complete this project, you can throw an interactive timeline shindig where the kids present their findings to the class. You can even hand out popcorn for the show. Kids love popcorn. Then, simply relax and check off that timeline from the Common Core standards. Are your students fans of animations? Animoto is another technology project-based learning tool to bring your curriculum to life. With Animoto, you can edit pictures and videos into a beautiful animation. This app is great for a variety of subjects. I once had my students make Animotos of authors. They had to research facts, gather pictures, and include text. But that’s just one of many topics that you can use this technology project for. Animoto makes animation look like a piece of cake. It takes all of your students’ images and text and transforms them into a video that the class can enjoy. Your kids even get to choose music for the background! Disclaimer: you might have to listen to a lot of Justin Bieber during presentation time. But the learning’s worth it! Nowadays, it’s hard to get some kids to read. On top of that, teachers are expected to evaluate how students understand the material. Research shows that only 20 percent of U.S. teens read every day for pleasure. But 80 percent visit social media every day! Literature posters might be your answer. With this group project, students get to self-organize and pick roles that suit their strengths. There are many ways to go about this project. But let’s say you have a group of four, start off by giving them a big slab of paper. Take one student who enjoys writing and designate them as the summarizer. You can probably guess what they do — they summarize the reading in a couple of paragraphs. Another student can be the drawer, making illustrations of items, settings, and characters that are important to the reading. But they also need to describe each image with a short paragraph. The writing component here is essential because, without it, some students might just draw a stickman and call it a day. Another job can be the questioner, who writes ten or so questions and answers about the text in complete sentences. Your students will collaborate to create an awesome poster that they can share with the class. Plus, you’ll have some easy decorations for your walls! 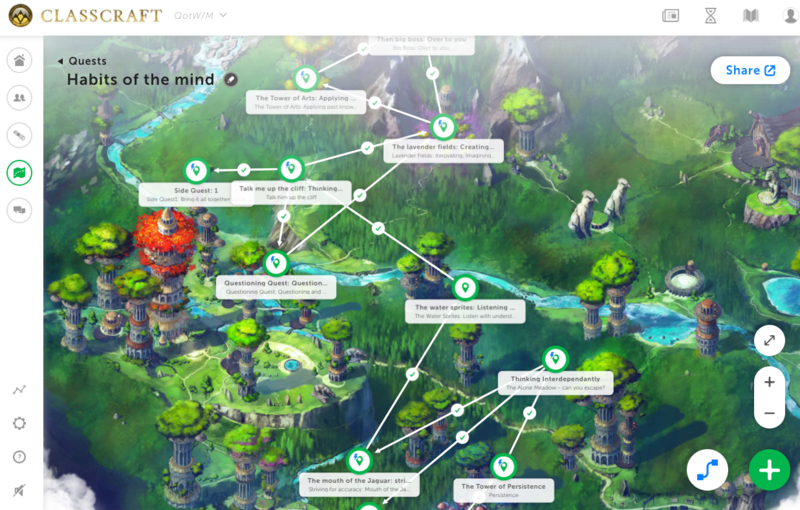 I recently wrote about how Classcraft is one of the best online collaboration tools for students, but it’s a useful program for project-based learning, too. This cool system allows students to complete RPG quests based on their curriculum. Students can take quizzes, have discussions, review the course material, and much more while they quest together in groups. Teachers can even use quests to manage student behavior. For example, if students are completing a group assignment, the teacher can customize goal behaviors. You can set a goal for active participation in group work or completing classwork by the end of class. Teachers can also specify negative behaviors that penalize students’ in-game characters, like using your phone during classwork. Keep your students engaged and on task by using Classcraft with a project that students will continue playing even after the bell rings. Teachers are always competing for students’ attention alongside video games, television, and the latest apps. So why not use these “distractions” for education? 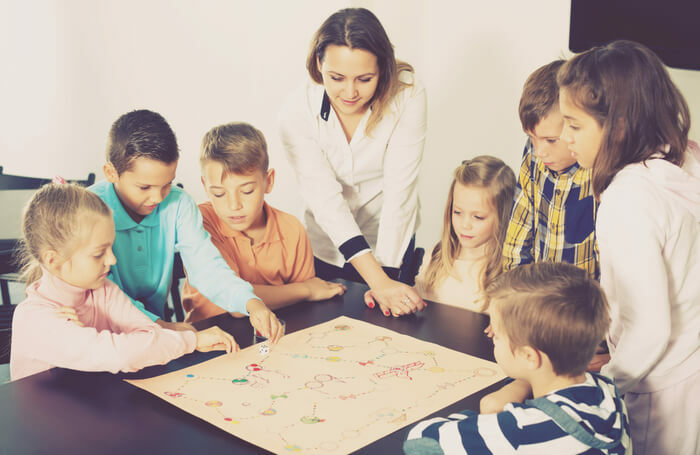 Project-based learning will have your kids forming connections and getting pumped up to come to class. It will also allow your students to create instead of simply memorizing. And according to Bloom’s taxonomy, creating is a vital part of the learning pyramid. With many of these projects, students have to not only create but also teach. And as you know, that, too, is a magical skill.